Wizard Stories is a professional, touring storytelling company. 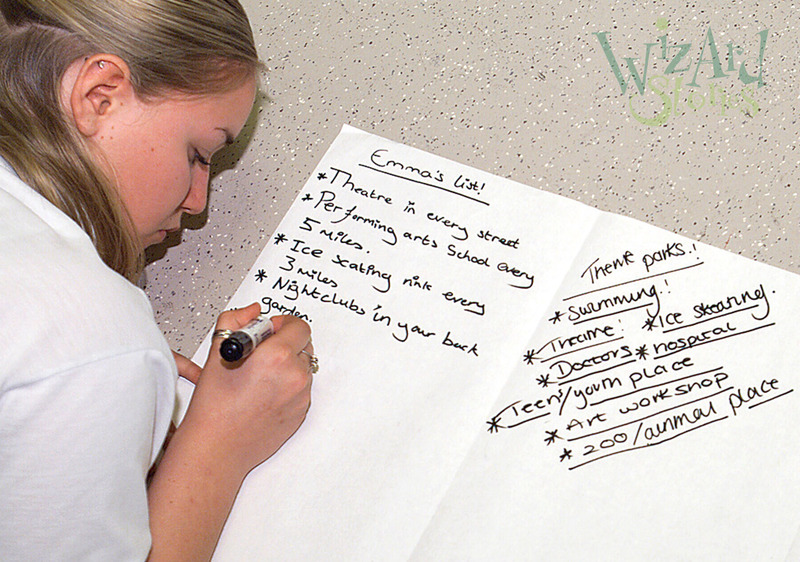 Founded in 2000, Wizard Stories is rooted within the Education Sector, delivering a powerful portfolio of interactive educational workshops and performances. We believe the power of stories can release creativity and fire the imagination within every child. Wizard Stories’ range of unique interactive storytelling performances is highly participatory, with a strong focus on speaking and listening. Our sessions encourage each child to formulate their ideas, give them the opportunity express them as part of an audience and reveal clear and simple strategies to support them on their own literary journeys. Imagine diving into a storyteller’s mind and unlocking his storytelling secrets. ‘Awesome Authors’ allows your classes to become story-writing wizards! 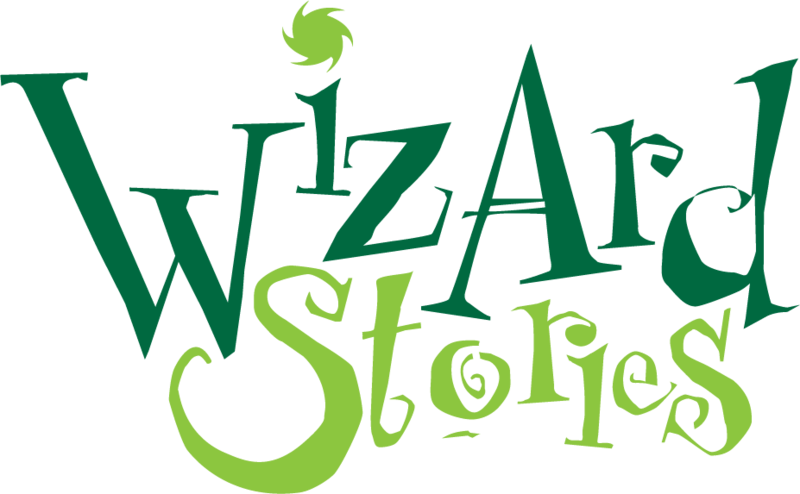 With Wizard Stories' powerful reputation for high quality, educational storytelling, we are perfectly placed to inspire your young audience with inspiring projects. Ever wondered what is happening in the world of Wizard Stories? Check out the latest news and educational articles. 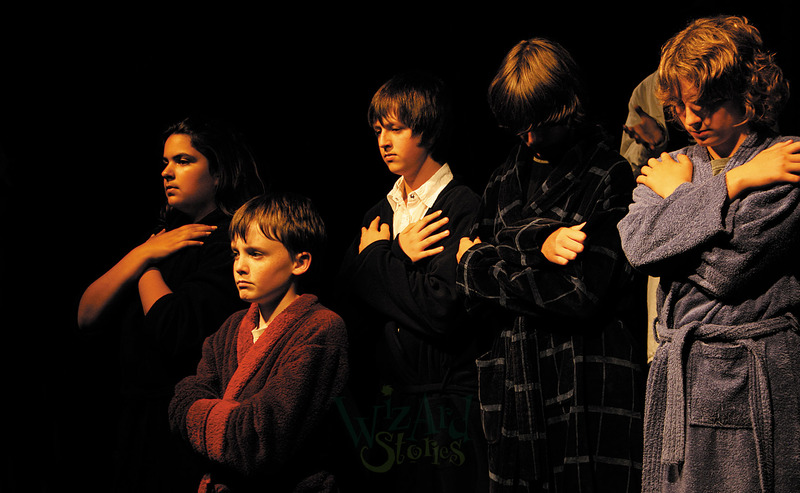 Plus great photographs from our Wizard Stories! Each Wizard Story is as unique as the group that meets to listen, imagine and create. 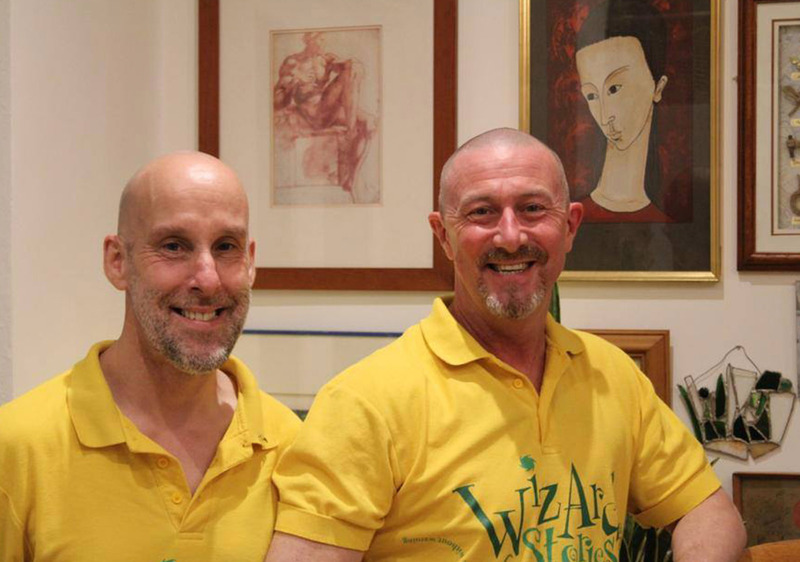 Get in touch with us today and find out more about Wizard Stories. 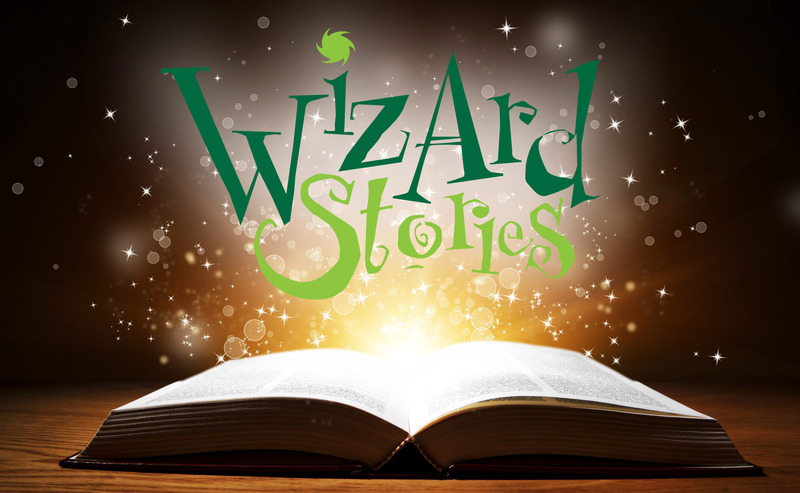 "Wizard Stories are exciting,engaging, flexible and fabulous! Our pupils really enjoyed their story making sessions and were immediately inspired to write their own stories." "Captivating and enthusing my class for over ten years. 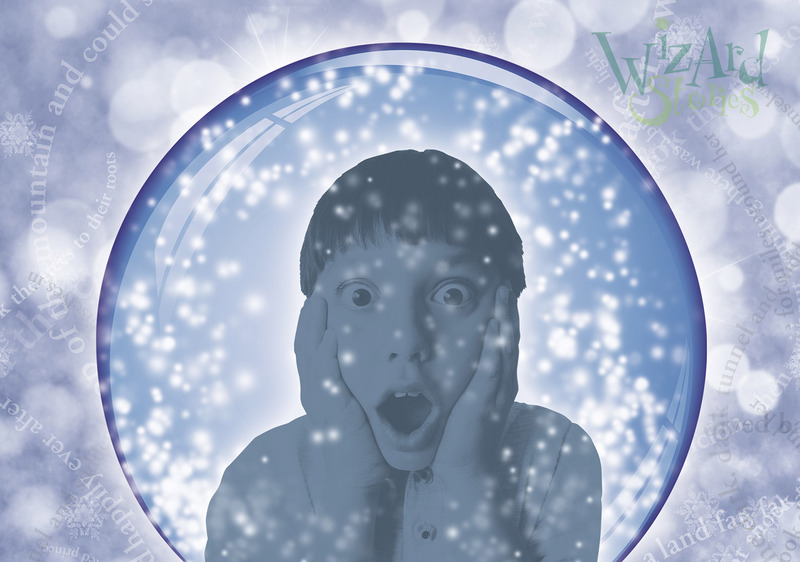 Wizard Stories make children WANT to WRITE!" "The children were drawn in by the storytellers and their use of music. They were very enthusiastic and generated some brilliant ideas from the children. Avert successful!" Claire Fish, Foxborough Primary School, Slough. "The way the storytellers used the children's ideas, they felt as if they OWNED the story!" 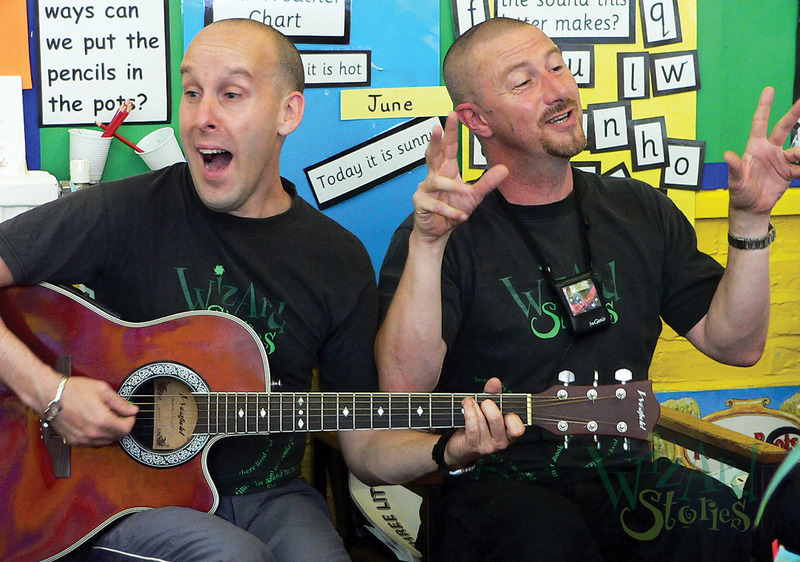 "Very lively, I liked the interactive element, the session was much enjoyed by the children." Anita Lewis, Guilford Library Service. "The children were so excited, it was lovely to see. We all had a fantastic time, adults included." Francesca Butler, Chantry Primary School, Luton. "Wizard Stories relationships with children was excellent, a very polished double act that still appears spontaneous." Ian Williams, Bangabandhu Primary School, London. "Engaged the children throughout, Gary and Phil gave them the confidence to believe that any bizarre ingredients can make a fun story." Diane Rhodes, Debden Park Secondary School, Essex. "The children were completely engaged, a really fantastic hour of learning and creativity which had pupils and teachers in tears of laughter - thank you!" Laura Stradling, Ramridge Primary School, Bedfordshire. "Activities all pitched perfectly, you provided a real WOW factor. Just brilliant, the children had a wonderful time." Janelle Sims, St Mary's Prittlewell, Essex. Each Wizard Story is as unique as the group that meets to listen, imagine and create. All our sessions, run by professional storytellers, are highly interactive, fun and child-centred with a strong focus on learning. We make dramatic differences to literacy levels by fostering the idea that reading and writing stories are enjoyable, engaging and creative activities. Since 2000 Wizard Stories has engaged in thousands of storytelling performances, enthralling children and young people, inspiring a love of stories and imagination, proving the age old partnership between teller and listener - those moments when the air seems to thicken and time ceases to matter - still thrives. Even in this busy world full of social media chatter, the power of the spoken word and the skill of the storyteller prevail.